Three years ago, the European refugee crisis, which pretty much overshadowed everything, was at its peak. Still, on September 18th, 2015, a news item of a different kind caught the attention of many. Rudolf Diesel, the inventor of the Diesel engine, would have been frustrated if he was alive today. His good name suddenly became a symbol for deception and fraud on the part of the German auto industry. The United States Environmental Protection Agency in Washington D.C. rang the alarm bell that day. Because they had found out Volkswagen’s last generation of vehicles with Diesel engines were equipped with a software which could detect whether the car was tested. While the latter was the case, the program curbed the engine, in order to comply with the guidelines regarding nitric oxide emissions. During normal operation on the road, the engine would operate at full throttle again, with extremely high emissions, more than ten times the maximum allowed. This concerned all models, including VW’s bestsellers Passat, Golf and Jetta. In the faces of high-ranking Volkswagen managers, the embarrassment was obvious. At the same time, bosses in the rest of Germany’s auto industry tried hard to look innocent. It worked, but only for a while. On September 20th, 2018, VW’s chairman of the Board of Directors, Martin Winterkorn, admitted those software programs had been manipulated. He was fired shortly after. A few months later, Volkswagen handed in an official guilty plea at an American court. The gigantic corporation conceded that as many as 11 million cars were equipped with the faulty software. Critics, mostly environmentalists organized in NGOs, pointed their fingers at other car makers early on. Today, they are criticizing Chancellor Angela Merkel and her government for hardly taking any steps which could have cleaned up the Dieselgate mess. The auto industry is the backbone of Germany’s economic success. Thanks to America and China, Volkswagen, Mercedes Benz, BMW and Audi keep on increasing their sales. The sky is the limit. Also, as many as 1.8 million jobs are connected to this industry in Germany, directly and indirectly. Of course these manufacturers can not be shut down. But critics insist something will have to happen. Apart from stopping the large-scale fraud, the Diesel particles emissions in basically all German cities need to be decreased. Driving bans for vehicles powered by old Diesel engines are already in place. This does not mean nobody is inhaling the clouds those dirty old cars are spreading. Those vehicles are being sold to Bulgaria and other Eastern European states, where babies are inhaling the nitric oxide while lying in their strollers. Teenagers are inhaling them too, while playing football on the schoolyard. In Germany, environmentalists started talking about increased Diesel emissions a decade ago. Nobody did anything much. The Federal Motor Transport Authority ordered updates for those programs for 2.5 million affected vehicles in Germany. But the German auto industry did not have to pay any penalties in its home country, in spite of the fact that even the European Commission complained about this aspect. As it turns out, things are complicated in Europe. 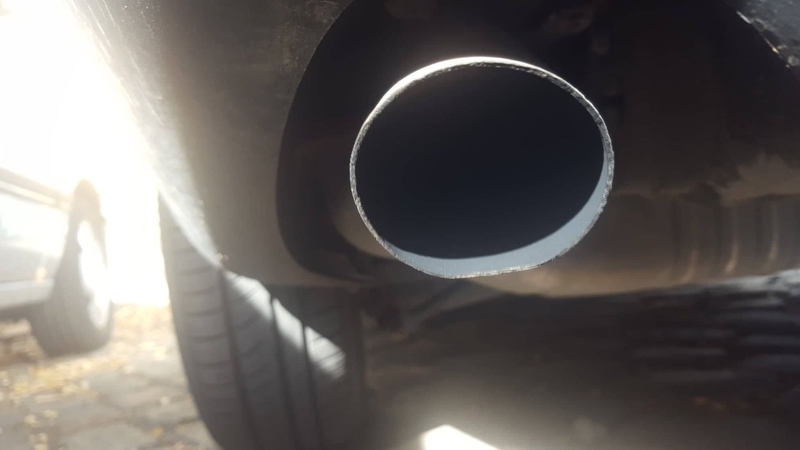 The car makers found a loophole in a European law, which says that the emission control in Diesel engines may be turned off at times, in order to protect the engine. This is the European auto industry’s favorite law. On this side of the Atlantic Ocean, the big players reject the notion they should be providing software updates for free, while the same car makers are meek in America. Now it turns out software updates alone will not resolve the huge issue the continent is facing, thanks to the auto industry. According to experts, upgrades for up to 3,300 Euro (3,860 U.S. Dollars, 3,380 Pound Sterling) per vehicle are necessary to decrease their nitric oxide emissions by 90 percent. In German-language media reports it says Chancellor Angela Merkel had told high-ranking colleagues in her party that steps would need to be taken. The question is who will pay for the upgrades, which will cost billions. Another question is whether something will be done soon, or if the procrastination will continue. Today, even more bad news hit Germany. The ‘big five’ car manufacturers in Germany are being accused of having struck cartel-like agreements regarding gasoline engines as well. According to reports, the corporations agreed to avoid installing particle filters into those engines, since they cost money. At the same time, the particles in question are dangerous to people’s health, just lice nitric oxide. In this case, the scandal broke thanks to Volkswagen and Mercedes Benz. They chose a self-denunciation, meaning they admitted it before the authorities would find out. Other car makers were not informed about the self-indictment. As a result, prosecutors had BMW’s Munich headquarters raided last year. The self-denunciation by VW and Mercedes will likely lead to financial advantages for those two car makers, and the exact opposite for BMW.